A very fine pedal is essential part of a good driving simulator. 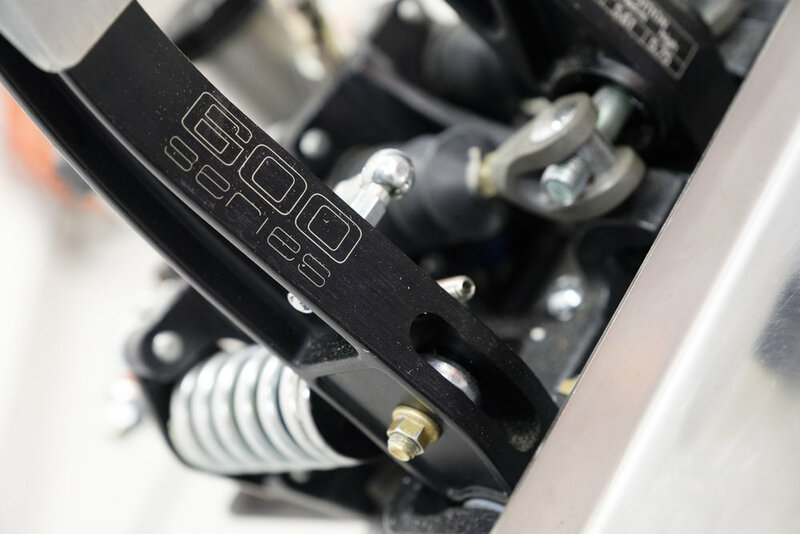 The SIMTAG system feels just as a real racing pedal, because it is the most widely used racing pedal box in the Motorsport world. 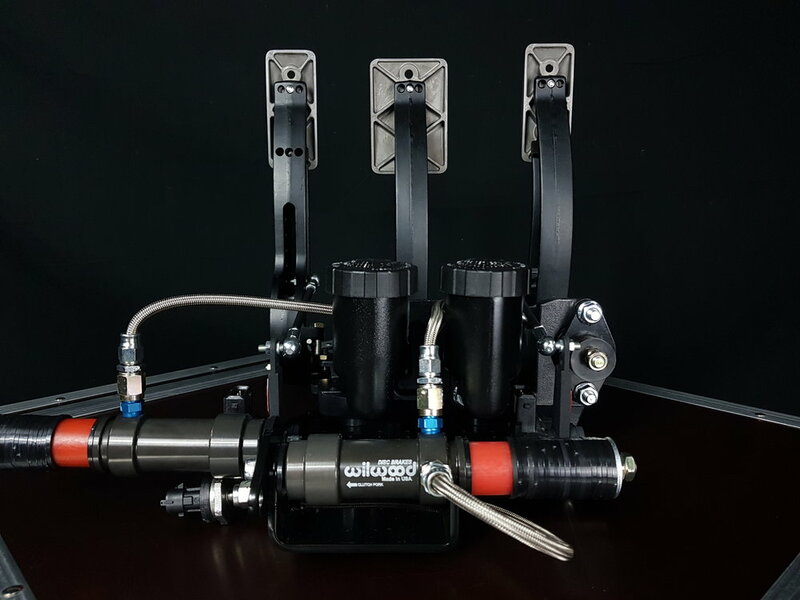 SIMTAG hydraulic pedals are modified Tilton 600 series pedal assemblies. The construction is made of forged aluminium by TIlton Engineering, and we keep the racing hydraulic system and add more precise interference free automotive sensors and USB electronics so you can connect it to your PC or straight into your SimuCUBE system. 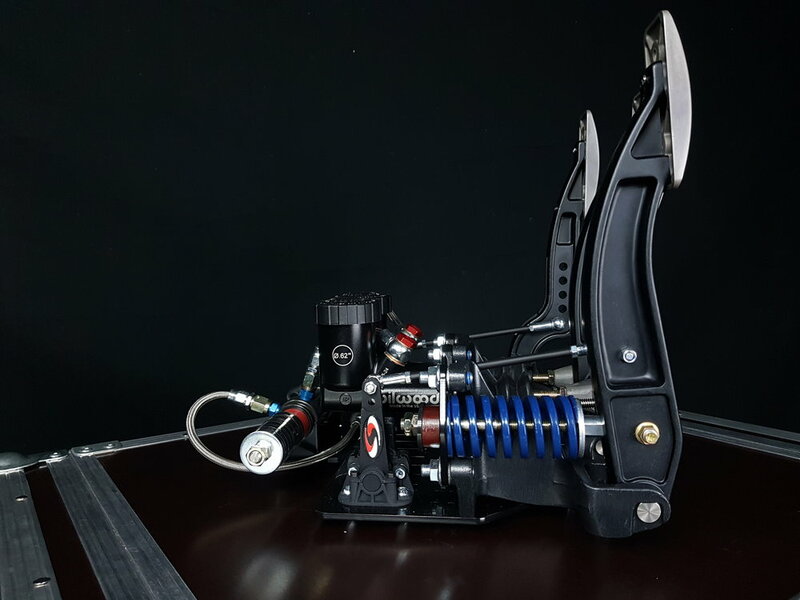 Hydraulic brake pedal with adjustable pedal ratio (5.29:1, 5.44:1, 5.61:1, 5.75:1) enable the brake pedal to be tuned to driver preference. Large 7/16″ diameter balance bar minimizes flex to provide a solid pedal feel/response.